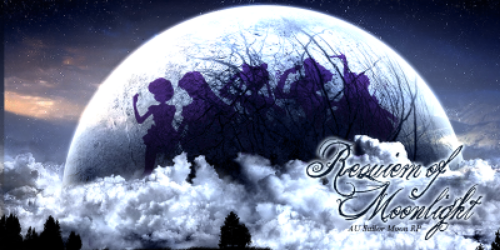 REQUIEM UNDER MOONLIGHT takes a new approach to the story of Sailor Moon. In an all new universe, the threads of time are starting to unravel and the resurrected Senshi, their allies, and their enemies are beginning to remember their former powers and previous lives. Will they conform to their previous incarnations and be heroes and villains or will they change their fate and take a different path? The fate of the universe hangs in the balance. Will you rise to the challenge?